Victoria Zerbst is a comedian, writer and musician currently co-writing and presenting comedy segments for SBS Viceland’s The Feed. She is a co-founder and head writer Freudian Nip, and has written satire, character-based comedy and video sketches for Junkee Media, MTV, The Comedy Channel, ABC Comedy’s Aaron Chen Tonight and The Chaser. Jenna Owen is a head writer and performer at Freudian Nip, as well as actor, comedian and improviser. As a solo performer, Owen was a writer and cast member in ABC2's 'Aaron Chen Tonight', has written comedy content for JUNKEE Media and The Chaser, done radio work for FBi Radio and has performed several times at The Chaser's Giant Dwarf Theatre as both a sketch comedian and improviser. 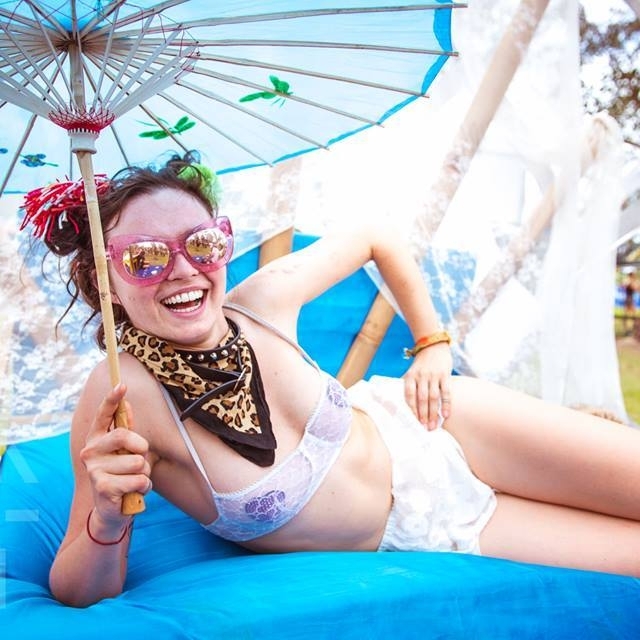 She was a head writer and performer on both of Freudian Nip's sell out lives shows, and in 2018 she will appear in Jungle/ABC comedy 'Squinters'. Jess Bush is a performer and writer for Freudian Nip, a visual artist, writer, and actor hailing from sweaty Brisbane. Creating and selling paintings from the age of 19, Jess has been a finalist in a number of prestigious national painting prizes including the Muswellbrook prize, the Kennedy Prize and the Agendo Prize, and had her social art activations sponsored by the likes of Telstra and Bose. She is a published journalistic writer, working as the principal Art Editor for US based publication Buzzworthy. Her acting credits include appearances on Home and Away and the Secret Daughter. Geraldine Viswanathan is a performer and writer for Freudian Nip, as well as an actor, comedian, writer and horse-lover. She is a stand up, and hosted on Triple J. She appeared in ABC's series "Janet King" as Bonnie Mahesh, and in feature film "EMO: The Musical" as Jamali. She just filmed the lead in "The Pact" (2018), a Universal Pictures / Seth Rogen comedy directed by Kay Cannon and starring Leslie Mann and John Cena. Other recent credits include “Big Bad World” (Brooklyn Film Fest, AFI AACTA Social Shorts), “Moose” (nominated for Best Performance Award at the Mirror Mountain Film Festival). In 2015 she was a finalist for the prestigious Heath Ledger Scholarship, as judged by Rose Byrne and Vince Vaughn.